As my father Michael Travers wandered into the woods to play flute with the birds I sat down in the moss. Soon I was collecting sticks and stacking them round. 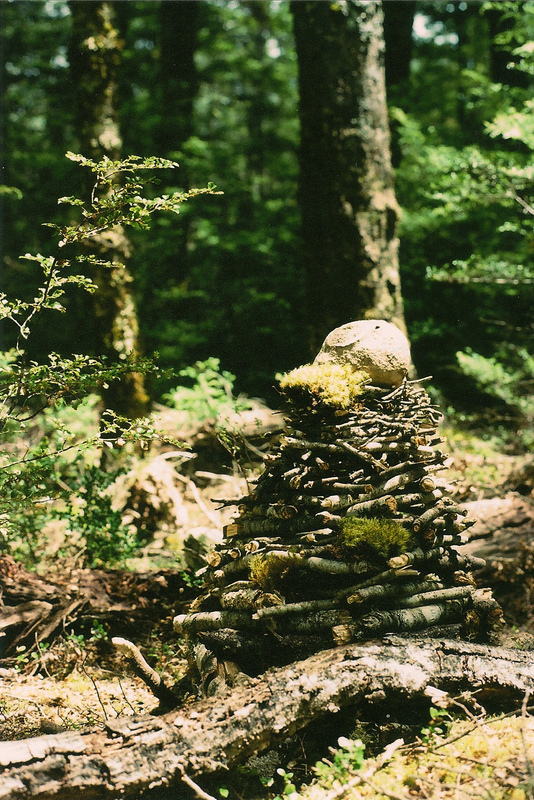 The pile spiraled higher as the sticks got smaller and soon a towering mounded nest was created. The soft high light fell through the Beech trees. Birdsong and flute mingled over the moss which softly cradled me as I observed the Natural Construct.